Don't have a login yet? It only takes a minute to register. "...To do the Will of Him that sent us, and to finish His Work!" And I say also unto thee,.. That... upon this rock I will build My Church; and the gates of hell shall not prevail against it. 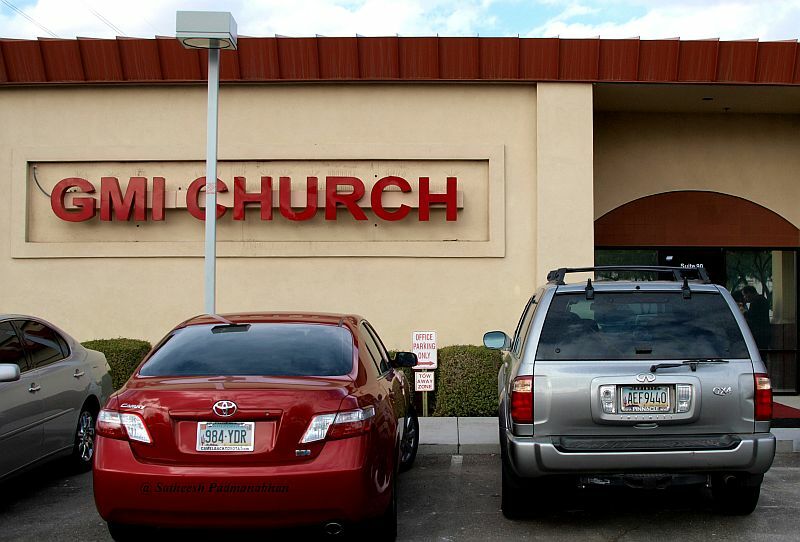 Welcome to GMI Church - Miracles Are Real! Glorious praise and worship, powerful uncompromised delivery of The Word of God, an atmosphere of faith, love and unity, and miracles in every service! Come and experience real worship and a fresh release of The Spirit in every service! The Tabernacle of Praise Unlimited is open to all those who want to worship God in spirit and in truth! See Testimonies to read about real miracles during GMI Church services! "In that day will I raise up the tabernacle of David that is fallen, and close up the breaches thereof; and I will raise up his ruins, and I will build it as in the days of old: Yea, and the glory of this latter house shall be greater than of the former, saith the LORD of hosts: and in this place will I give peace, saith the LORD of hosts." [Amos 9:11, Haggai 2:9]. The inspiring, soul-lifting, Spirit-filled, uninhibited praise and worship will lift you right into God's presence, and the anointed ministation of The Word of God backed by the demonstration of God's power will meet all your needs! So, we invite you to come believing and you can go home with your miracle! The Praise and Worship team, very appropriately named Praise Unlimited, leads the praise and worship segment during each service. These are highly anointed, Spirit-filled, gifted young men and women who really know how to make the praise of The LORD glorious! Praise Unlimited transforms every service into a "Praise-a-thon"! If you have a musical or vocal gift and you would like an opportunity to use this gift for worship and for the glory of God, you should join the Praise Unlimited team! See also ""Praise Unlimited"
This is where our Prayer Warriors meet weekly do stand in the gap! If you want to experience a release of the Spirit through breakthrough praying, come and be a part of this old-fashioned prayer meetings, and see the power of collective prayer! The LORD"s promise is sure, "Again I say unto you, That if two of you shall agree on earth as touching any thing that they shall ask, it shall be done for them of my Father which is in heaven." [Matthew 18:19]. Our mid-week in-depth Bible Study delivers anointed uncompromising teachings that provide sustained spiritual growth through effective discipleship and practical application of Biblical principles for victorious everyday Christian living! No matter your current level of faith, there's something for everyone! [1 Peter 2:2, Hebrews 5:14]. If you cannot attend in person, you can also dial in and participate in the interactive Bible Study discussions! Tel: 1-712-775-7100 Passcode: 168585#. This is not Church-as-usual! This is The Body Ministry like God intended it to be! Every last Friday of the month, as part of out Consecration Weekend, we get together for this unique experience, where the wonders of The Holy Spirit flow through every member of the Body of Christ! "From whom the whole body fitly joined together and compacted by that which every joint supplieth, according to the effectual working in the measure of every part, maketh increase of the body unto the edifying of itself in love" [Ephesians 4:16]. At GMI Church, we do not engage in constantly campaigning for donations, but we believe that Tithes and Offerings are an integral part of Worship, so during our Worship services you will have an opportunity to give willingly as you are led by The Holy Spirit. Offering envelopes are provided, and if you include your name and address, we will gladly send you a receipt at the end of the year for your tax deductions. Thank you for helping us in winning souls for The LORD! [1 Chronicles 29:11-14, Malachi 3:8-11, Luke 6:38, 2 Corinthians 9:6-11]. For information about the GMI Leadership Team, please see "Leadership Team". Please write us a review here. Enter your search text below. You can search for audio sermons or a particular topic on the entire GMI website.